​I’m running for Missoula City Council this year. The election is on November 7. If there are too many candidates, however, a primary will be held on September 12. So that’s quite some time from now, but I like to get started early. Official campaign filing doesn’t start until April 20, but on March 7 I filed my C1 form. This is an announcement of candidacy, something that allows you to raise money. I’ve also made a mock-up image of what my campaign sign and flyer will look like…as you saw in the image at top of the post. Those are the issues I’m running on: taxes and bonds. Well, the truth of that matter’s that these issues affect all of us, and in many different ways. Taxes go up, you pay more each year…whether you own a home or not. Yep, our rental prices are out of control. The average rent in Missoula is $763, or what amounts to $9,156 a year. The average value of a home is $238,200. The average mortgage rate in Missoula is $1,455 a month, and it’s figured that those without a mortgage are still paying $471 a month in costs/maintenance. So any kind of extra tax increases can really hurt people. Now, what is the tax situation in Missoula? Well, city residents have been seeing out of control tax increases year after year. Yes, you have to go back 7 years to find a time when you could just keep paying the same as what you did the year before! You can read all about Missoula’s terrible tax situation in the Missoulian and on NBC Montana. I’m sure you know all about it already, however, and I’m sure it’s making you sick. Perhaps you’re even losing sleep over it...if you’re not working an extra job at night, that is. By 2015, the city had levied 84% more taxes than they had in 2005. You saw that in the 2 years since then, your taxes have gone up by another 9.6%. The roads continue to deteriorate while we give millions to developers to build fancy profit-centers for themselves. On top of this you have to pay through the roof for new sidewalks. Missoula taxpayers are pressed too hard. It’s time to stop raising taxes, stop issuing bonds, and work with what we have. If that’s not adequate, we have to find areas to cut. Perhaps that means some city workers lose their jobs. That’s fine. We cannot continue to grow out of control on our weary and overtaxed homeowners. I could use your support. 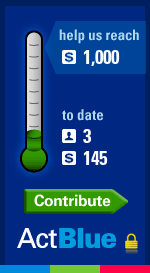 You can donate to my campaign, put up a yard sign, knock on doors, or even make phone calls. Most of all, please vote. City Council elections are November 7 and you can use your mail-in ballot. It’ll be some time until then, and the city will continue to hemorrhage money during that time. Things might have to get worse before they can get better. They’ll only get better if you vote. Please do so on November 7. Just donated $100. Best of luck on your campaign. Do you get the full contribution or does ActBlue take a cut? Personally, I prefer checks in the mail - they're free. Act Blue charges 3.5% per donation. Andedot, the company the MT GOP is using for their online donations, charges 3.9% + 30 cents per donation. PayPal charges 2.9% + 30 cents per donation, so that may be the better route. I know all this because I researched it after digging into the Missoula County GOP social media efforts. You'll read about that in a post later this month. Currently I'm up to $250 in donations for my campaign. It'l cost me $90 to get 500 walking cards made up and another $175 or so to get 10 yard signs. That's the route I went in 2016 and I'll follow a similar path this year...except I'll be doing a lot more Missoula-targeted Facebook advertising as well. Both Adam Hertz and Mike Hopkins had a lot of luck boosting donations last year by pushing their campaign on social media that way. I'd like to add that I've gone through Harlan Wells' old C-5's to see his campaign finances for when he ran for Ward 2. Wow, lots of $1,000 loans to himself! I can assure you, I won't be taking that route. No, it'll be less money, more shoe leather for me. Boy, I'm excited to get out there knocking on doors come September! Greg, I may not agree with your ideology but I like your campaign platform WRT Lower Taxes and No Bonds. Understand I can't vote for you but may contribute. Have you read the City of Missoula Personnel Policy Manual? Maybe the COPP entered me wrong as a school candidate since I filed my C1 so early. They have me listed for 2015 correctly, as city when I was considering a City Council run then. I didn't look at the 78-page employee manual until you mentioned it. It seems pretty standard, though quite long. I've knocked on hundreds of doors, I had 10 campaign signs printed up, and I still have $75 left in my campaign war chest. Jesse Ramos is killing me and everyone else on the signs for Ward 4. There are lots of candidate forums coming up in a few weeks, though. The Missoulian will also run candidate Q&A's soon too. Mine's fun. Thanks for your support...and please let me know if you want a yard sign. I'm running for the City Council.